For this post, I didn't bother with my usual twitter poll and went back to the original idea behind the series; men who's outlook on style inspire me. 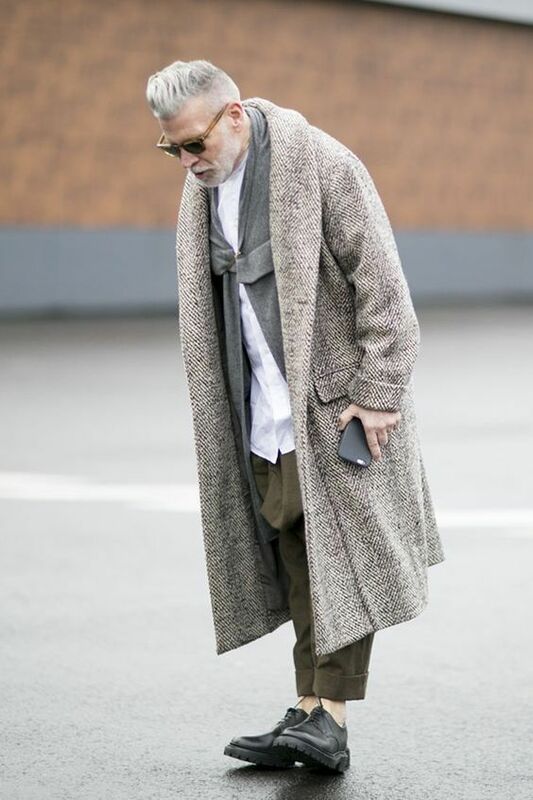 If like me you prefer to look at the attendees of most fashion shows rather than the models, you will no doubt have spotted this gent in many of the street-style snaps. Nick Wooster, former buyer for Barneys and Bergdorf Goodman and on the board of directors for Calvin Klein, Polo Ralph Lauren and Neiman Marcus, is an urban icon in the mens fashion realm. As impressive as his CV is, it's his own flair, combining disparate patterns, fabrics and styles that have always inspired me. 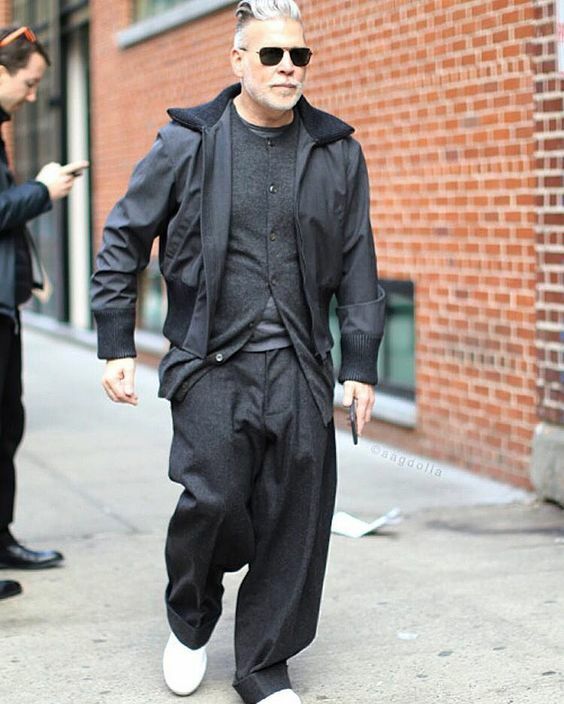 This is a man in his 50's who can (and does) stand up to and stand out from the younger generation of trendsetters and influencers. Variety is key in any mans wardrobe. 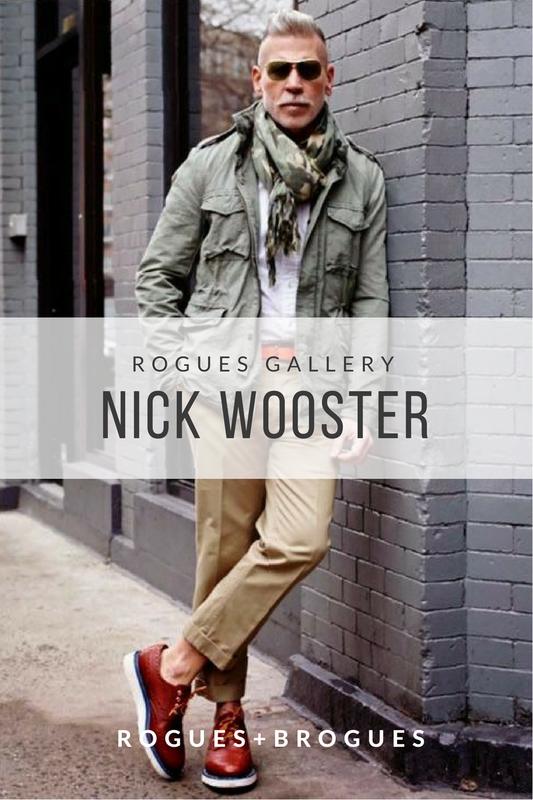 A versatile selection of items means you are prepared for any event or occasion but what Wooster does so well is blur the boundaries of what these outfits should be worn for and how they are put together. 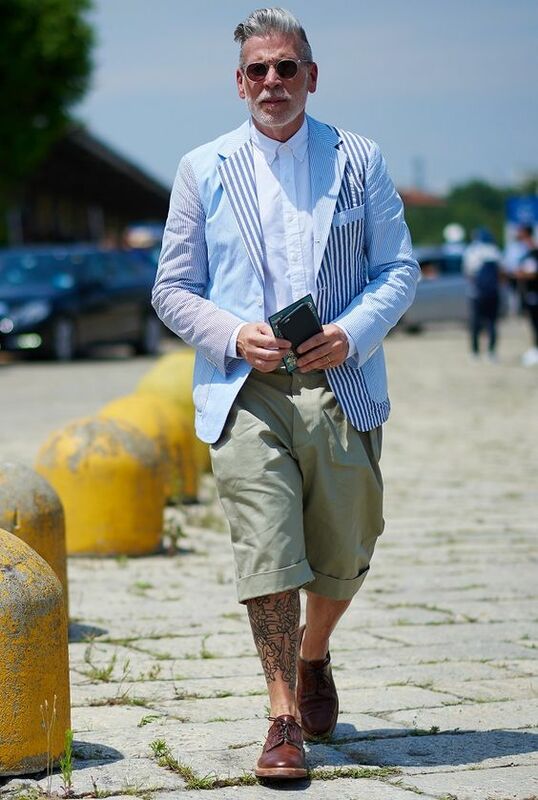 Camouflage shorts with a shirt and blazer? Check. Japanese kimono jacket with cropped chinos? Sure, why not? Only someone who knows the right way to put things together can put them together in the wrong way and only make them more interesting. 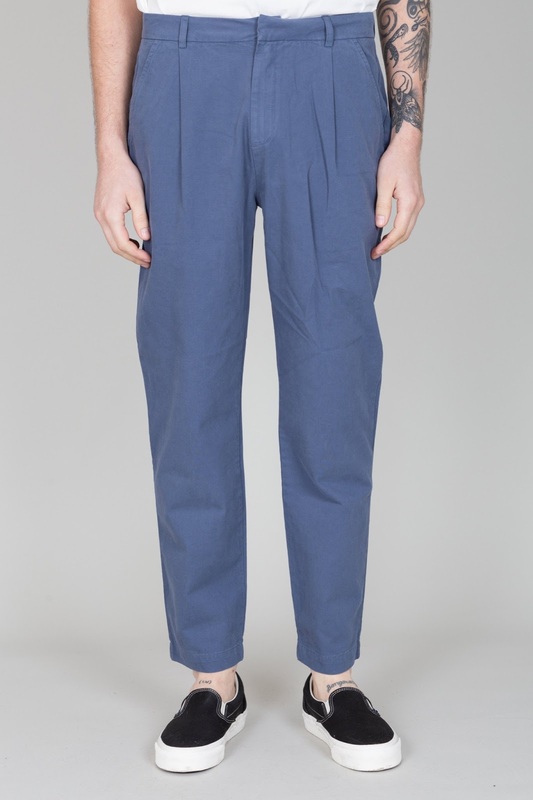 Chinos are possibly the most versatile trousers you will buy this spring. The grey green colour works with nearly anything and they can as be smart or casual as you need. Cuff them to show some ankle or get them cropped if you're feeling determined. Playing with print will always add interest but have fun what you pair it with. 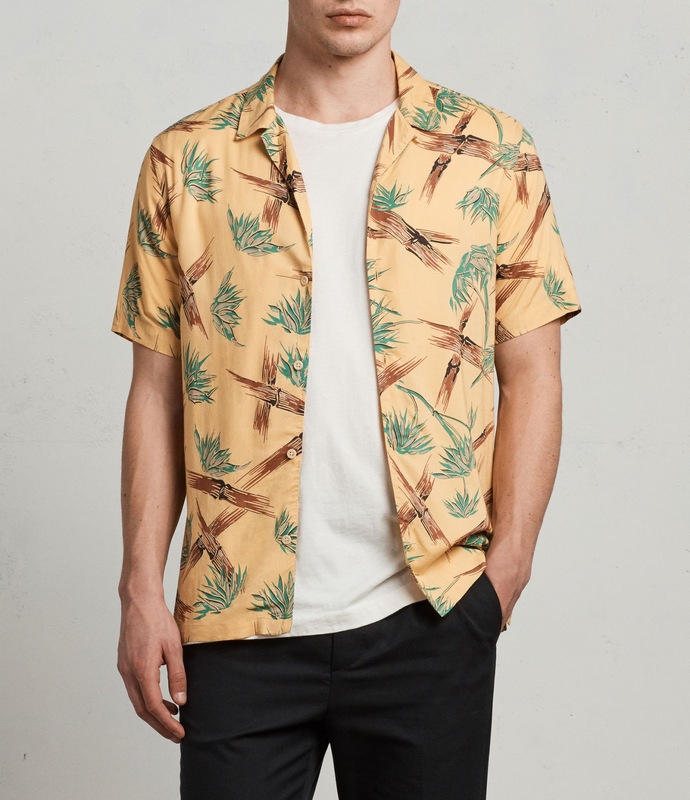 Sportswear and tailoring are the polar opposites to something as summer casual as a Hawaiian shirt but make the boldest of statements. Despite the weather outside, it is apparently spring. And spring calls for suitable footwear. 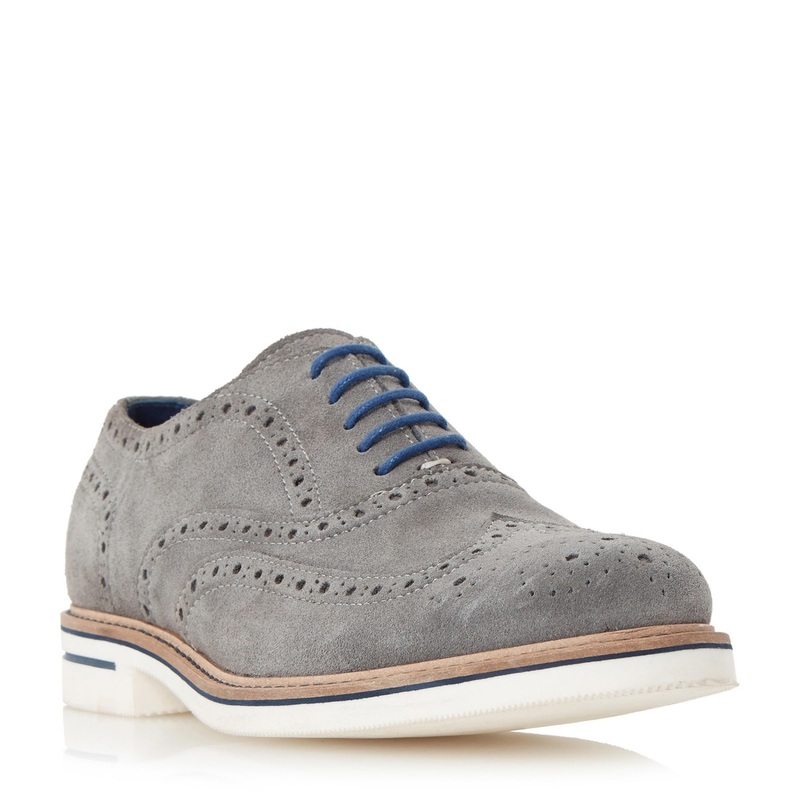 Suede and a pop of contrast or colour in your footwear will always add an edge to your outfit. Don't limit them to just jeans, wear with shorts! 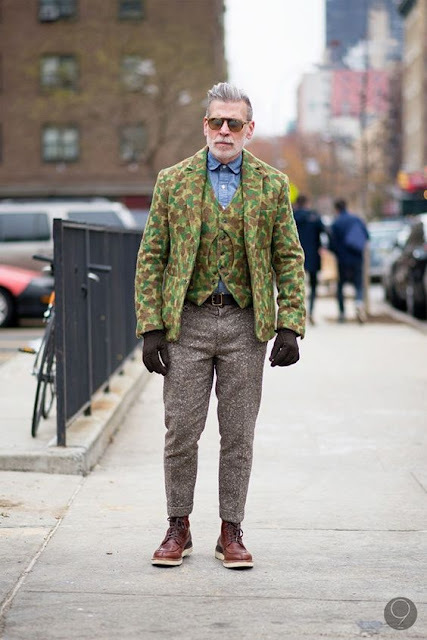 Nick Wooster is the camouflage king. 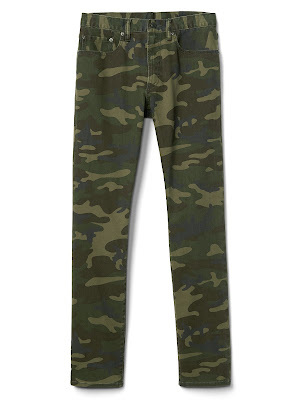 When wearing camouflage, the trick is to go against the principle of camo and make it stand out instead of blending in. Use it as a feature piece, wear them with a sharp white shirt and shoes rather than keeping them casual. 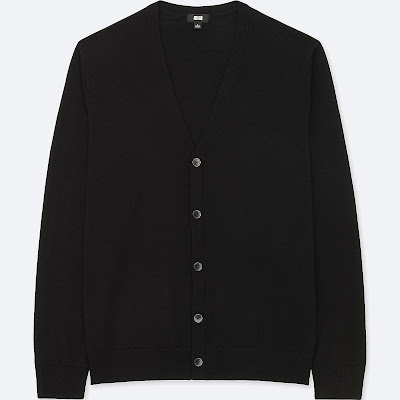 A cardigan is your alternative to a jumper or jacket and again works formally or casually depending on how you style it. 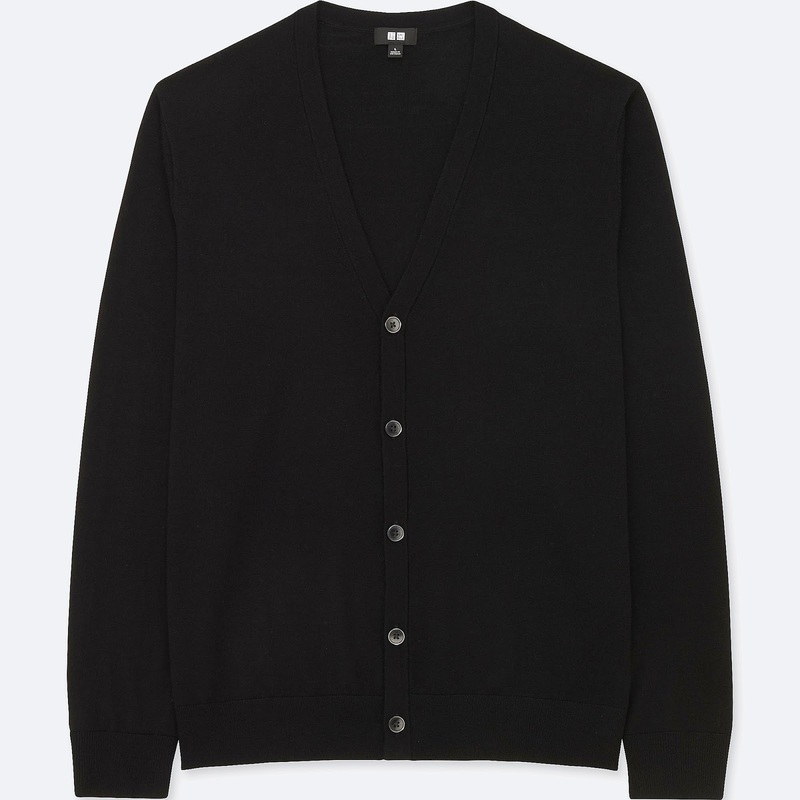 Uniqlo is the knitwear lovers secret weapon. I'm kind of glad we don't have one in Ireland as it keeps it a little more exclusive and I always visit the stores anytime I have a chance. Their selection of merino knitwear is awesome and always really affordable. Khaki green is an invaluable colour to have in your wardrobe. 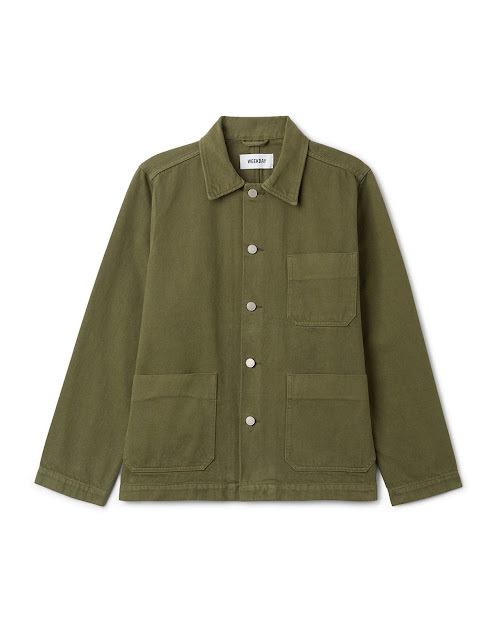 A worker jacket like this makes a cool alternative to a bomber and allows you to play with layering, I'd recommend under a navy longline rain coat. 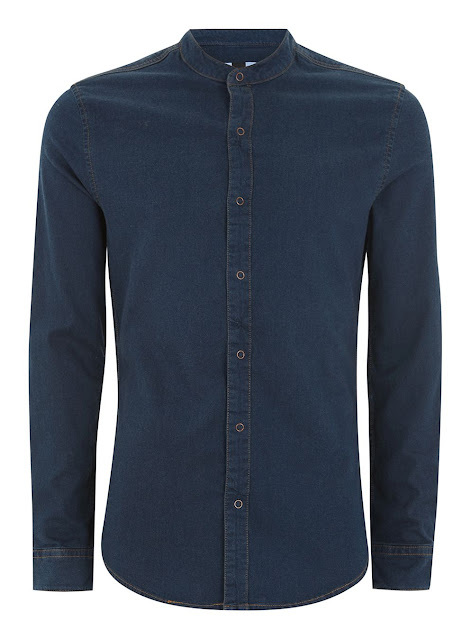 When debating about denim, my advice is always go for the darker option. 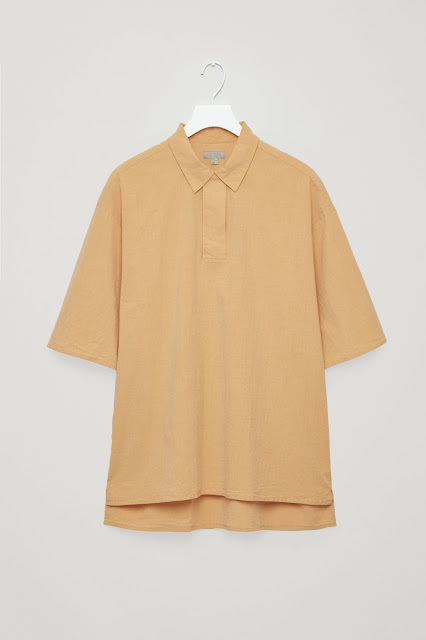 It's more slimming and works with more colours. Wear this tucked for a slim, chic silhouette (pair with the camouflage trousers cuffed) or go untucked, loose and layered with contrasting patterns. 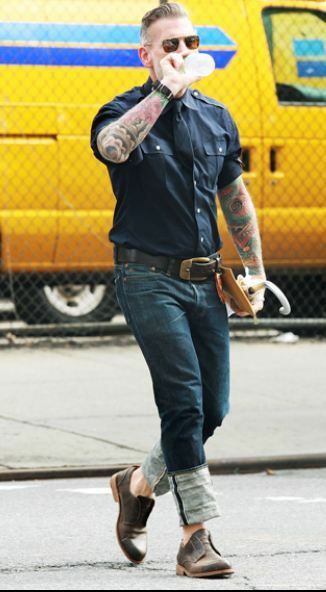 Despite their literal tight grip, style is moving away from skinny fit. 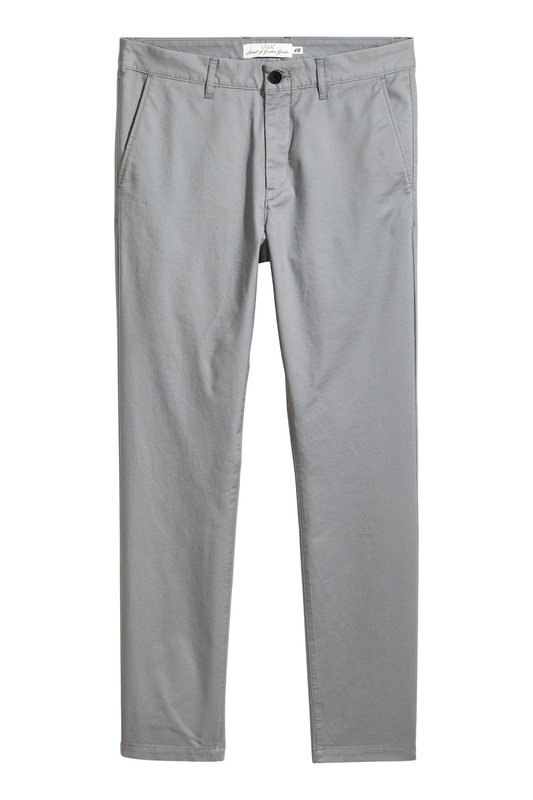 A pleated, tapered trouser can seem daunting but keeping the top half of your outfit tucked and fitted and allowing the looser pant shape to do it's job shows you know your stuff. Cos often feature Asian-inspired silhouettes in their designs, playing with structure and proportion. Looking at the shots of Nick above, you can see these in action. This diluted saffron yellow is a neutral colour and works with greys, blues and soft greens. As always, its your spin on putting pieces together that makes it your own style. Copying something isn't going to work every time. We are not all the same height, build or colour so not everything works for everyone. Embrace your individuality! I've been in something of a rut this year in my style, something I spoke about in my Wardrobe Worries piece. 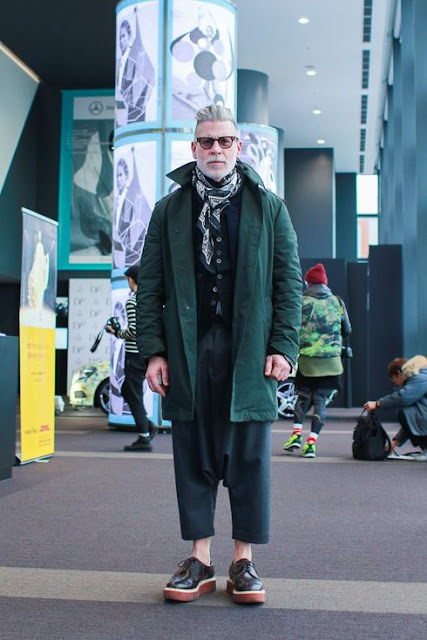 I can look at these enviably stylish men like Nick Wooster and it helps me look beyond the safety of the same old look every time and that's the reason I started this blog.